A few hours of sunlight a day are enough to make the digital garden thermometer AVENUE light at night. This is because this environmental-friendly instrument has solar cells which collects the energy during the day for illuminating the display at night. The temperature and time can be read from a distance. 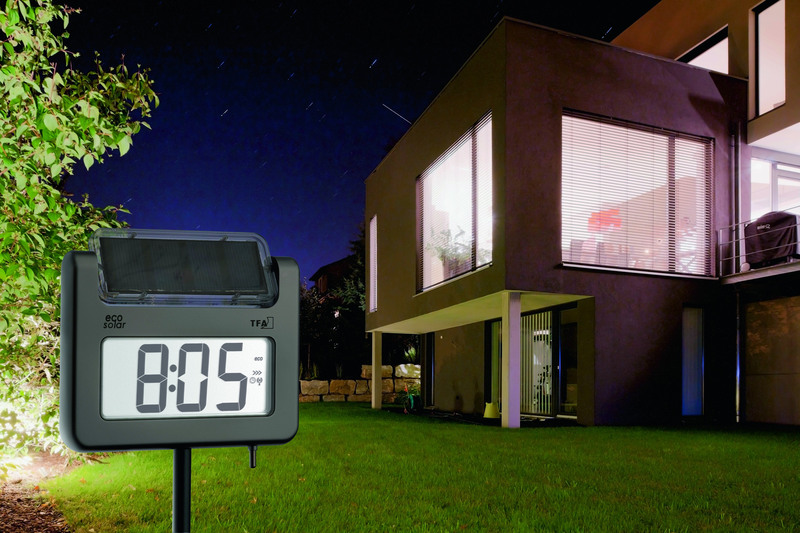 The clear illuminated digital display with large numbers allows for excellent readability at dusk and at night. Additionally, you also get subtle garden lighting. The modern, purist-simple garden thermometer stands for state-of-the-art technology in a timeless design. At dusk and dawn, the built-in light sensor switches the lighting on or off, depending on the outside brightness. Alternativelly, you can activate the automatic timer, then the light stays off between 11pm and 5am to save battery. 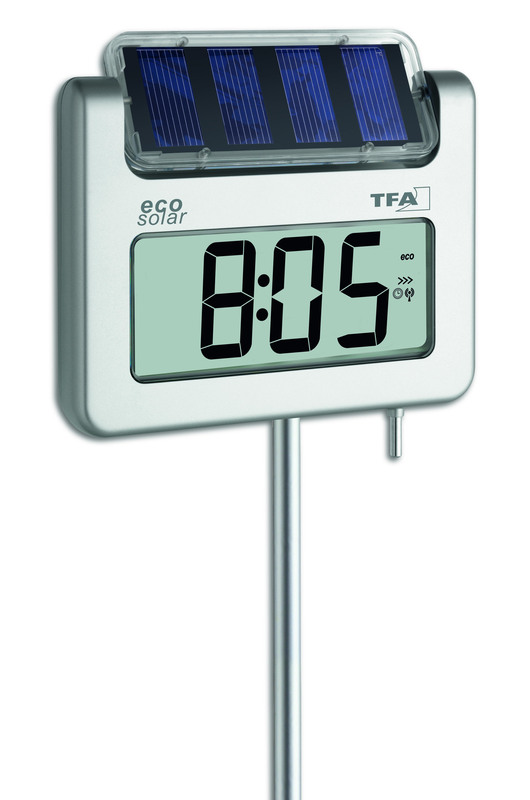 The display has three different modes options: the current temperature alone, the current temperature alternating with the time, or current temperature, daily maximum and minimum value and time in alternation. 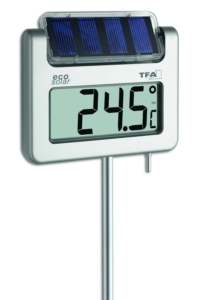 Placement the thermometer in the middle of the garden, and at a height of 1 meter, has the advantage that the temperature values are not distorted by a house wall and the actual outside temperature is measured. The high-quality plastic ensures winter and all other types of weather resistance. The AA 1.5V battery for the operation and the display is included.